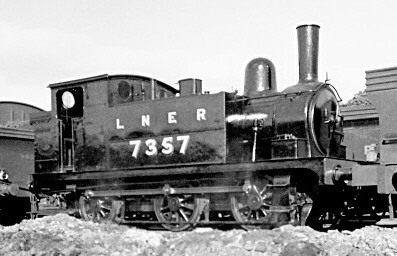 Following the success of James Holden's Class T18 (LNER J66), further variations were built. The Class R24 was built between 1890 and 1901, and had a 6in longer wheelbase but a 6in shorter frame. The cab was slightly smaller and the side tanks were moved further forward. A total of 140 R24 locomotives were built, of which 100 were intended for passenger duties and were fitted with screw reverse gear and Westinghouse brakes. With the advent of heavier rolling stock in 1902, a total of 95 R24s were rebuilt with 180 psi boilers between 1902 and 1921. Referred to as "R24 Rebuilt", these locomotives had longer fireboxes with larger grates, and greater capacity side tanks. 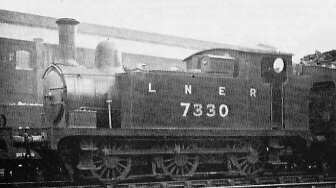 During the 1920s, the LNER converted 59 of the J69s to be shunting locomotives by removing the condensing gear (if any), and fitting lever reverse gear. 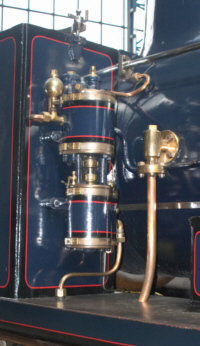 Steam brakes were also fitted although many locomotives kept their vacuum ejectors. The bulk of the J67s and J69s were allocated to Stratford, with 121 recorded as being allocated there at Grouping (1923). Both passenger and shunting locomotives could also be found at Colchester, Ipswich, Cambridge, King's Lynn, and Peterborough East. The passenger locomotives tended to be slightly more distributed across the GER sheds, and they could also be found at places like Norwich, Yarmouth, and Lowestoft. The Stratford passenger locomotives were mainly used on the 'Jazz' suburban services to Enfield Town and Chingfield. These were very intensive services that included relatively heavy commuter services. At the time no electric service was capable of handling the load, but these small steam engines handled the load very well especially when the relative lack of time for maintenance is taken into account. The first withdrawal was J69 No. 7364. This was withdrawn in 1931 due to damage after a collision with J39 No. 1265 at Northumberland Park. Withdrawals began in 1937 and twelve had been withdrawn by 1939. In October 1940, thirteen J69s were purchased by the War Department. Withdrawals did not restart until 1953. With the arrival of diesel shunters, withdrawals were quick. The last J67 was withdrawn in 1958, and the last J69 was withdrawn in 1962. Cylinders (x2): (inside) 16.5x22in. 16.5x22in. Heating Surface: Total: 987.4 sq.ft. 996.17 sq.ft. Firebox: 78 sq.ft. 86.77 sq.ft. Grate Area: 12.4 sq.ft. 14.5 sq.ft. J69/1 No. 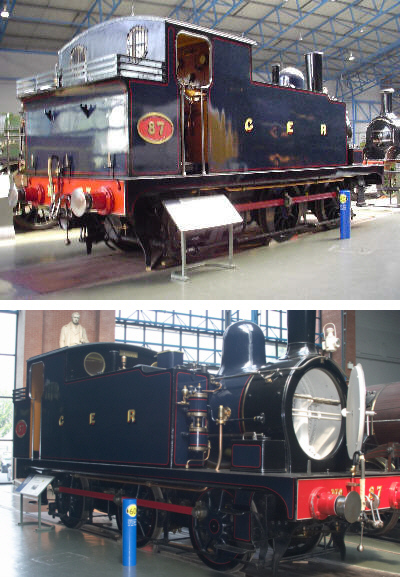 7087 has been preserved in the National Collection, and is usually located at the National Railway Museum. During the 1970s, Graham Farish produced an 0-6-0T that they described as a 'Holden Tank'. This resembled the J67, but was replaced in the Graham Farish range by the larger and more generic "GP Tank". Finney and Smith produce 3mm scale kits of the J67/1 and J69/1. Connoisseur, SE Finecast, and DJH all produce 4mm scale (OO gauge) kits of both the J67 and J69. London Road Models also sell a 4mm scale kit of the J69/1. Connoisseur and ACE Products both sell kits of both the J67 and J69 for 7mm scale (O gauge). 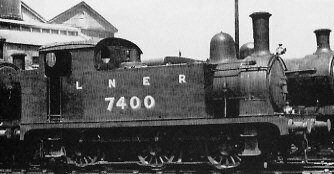 Aster have in the past produced a live steam gauge 1 locomotive that is loosely based on the Holden J67 and J69 tank engines. Thank you to Rob Marsden for the two photographs of the preserved J69. Thank you to the Mike Morant Collection for the photograph of J69/1 No. 7357 at Eastfield. Thank you to David Hey for the photograph of J69/1 No. 68492 with J67/1 No. 68511.